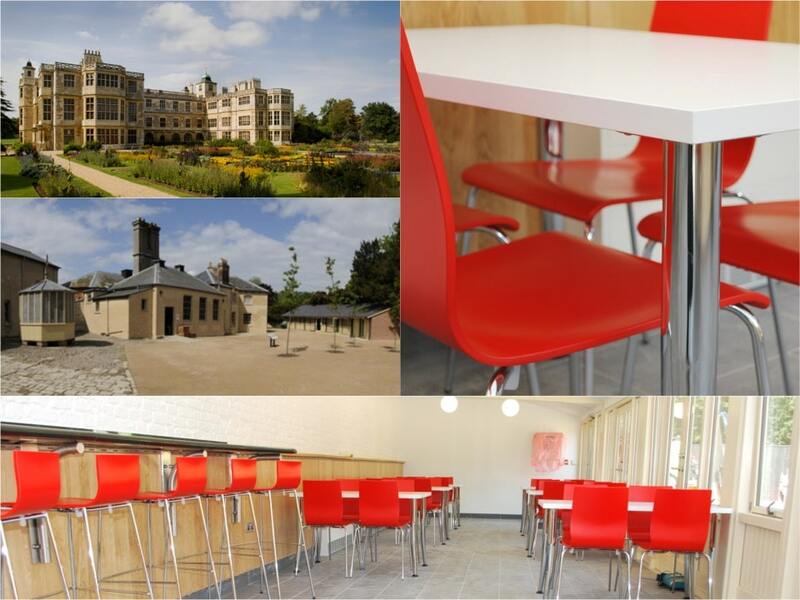 Spaceist were approached by English Heritage to supply cafe and bar furnishings for a new restaurant and cafe area within the estate grounds of Audley End House. Known as one of the finest Jacobean houses in the country, Audley End House and Gardens is visited by thousands of visitors each year and required robust, classic yet contemporary items of the new eatery space. Taking the project onboard from proposal stage to final installation, the final result is a modern and attractive new café interior. The 17th Century county house, based outside of Saffron Walden in Essex is now managed by English Heritage. Preserving its both the history surrounding the property and its stunning vast gardens, English Heritage set up a range of activities and events attracting visitors from around the country. 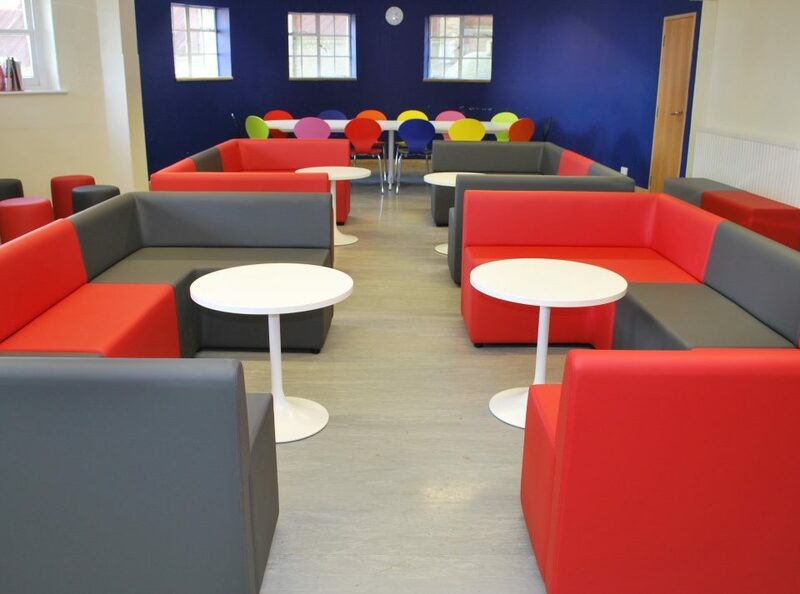 To further accommodate their visitors, the new café and restaurant required a selection of stylish furniture. 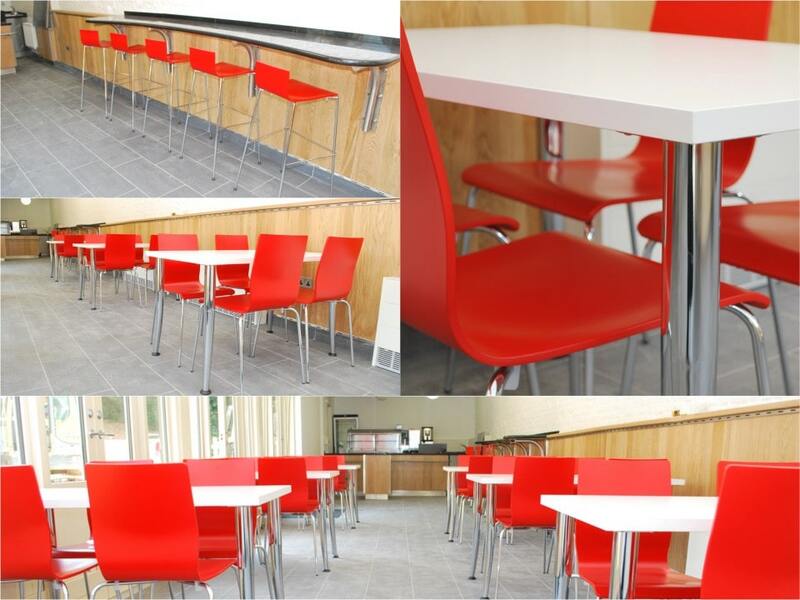 The more up to date look of the new cafe and restaurant required furniture to suit this new modern interior. 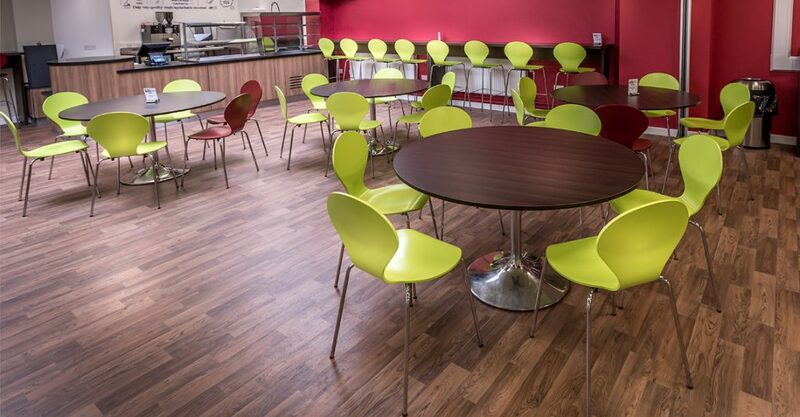 Providing the solution of offering items that would be both durable and withstand its aesthetic properties over time, we selected the Angled leg cafe tables. 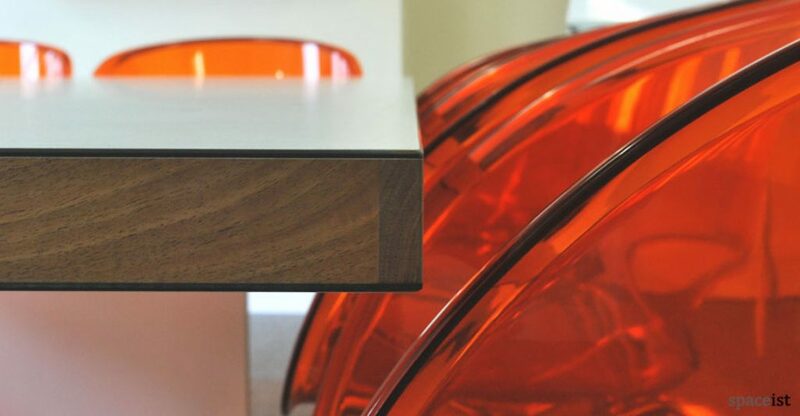 Designed for high impact, the chrome base legs have been created with a slight curve. The table top is constructed of a solid laminate finish with high impact edging and comes with a choice of over 100 laminate colours. 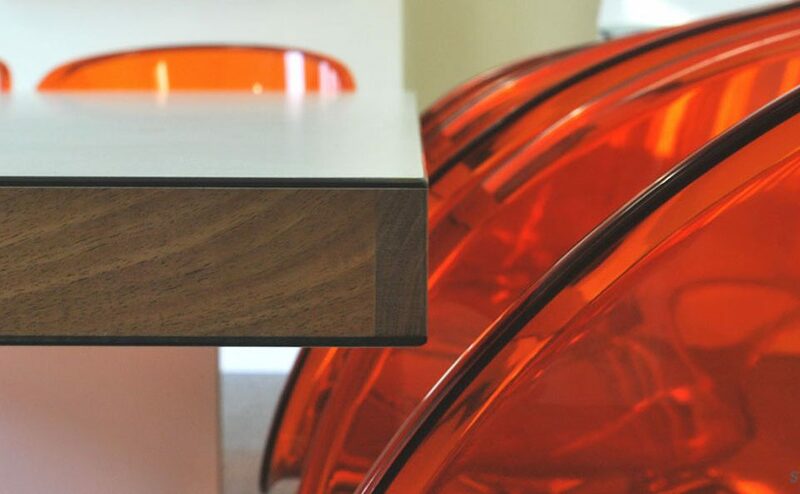 The table is available in three standard sizes with bespoke sizes also possible if required. 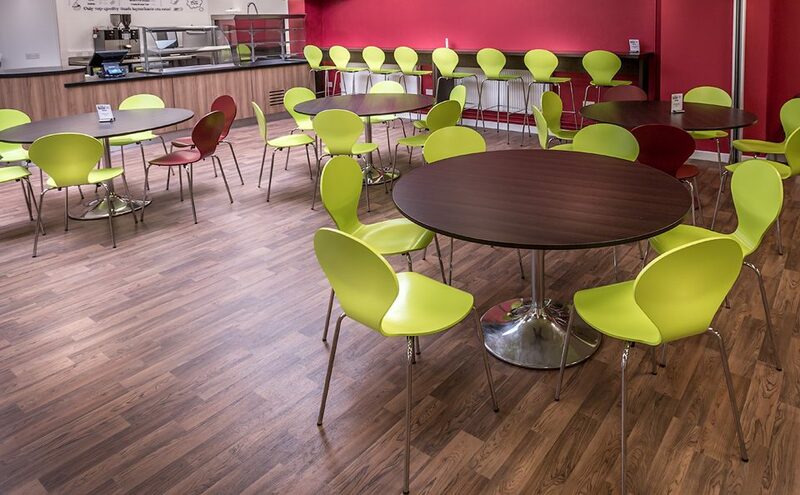 To add a bright and bold effect to the café and restaurant interior colour scheme, the Anno chair was supplied in a vibrant red shade. The compositions of the Anno chair make it ideal for contract projects as they are constructed from top quality materials and are available in a multitude of colours and finishes. 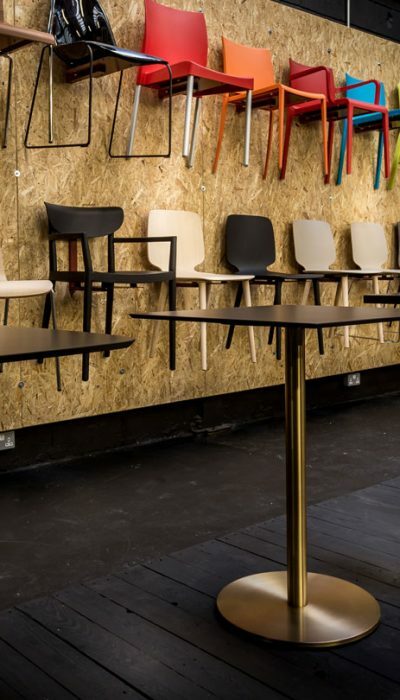 The Anno chair seat is made of a solid plywood shell with a lacquered finish available in over 10 colours or a choice of wood veneers if a wooden appearance is preferred. The seat is stackable for easy storage or maintenance and comes with sturdy chromed tube base legs. 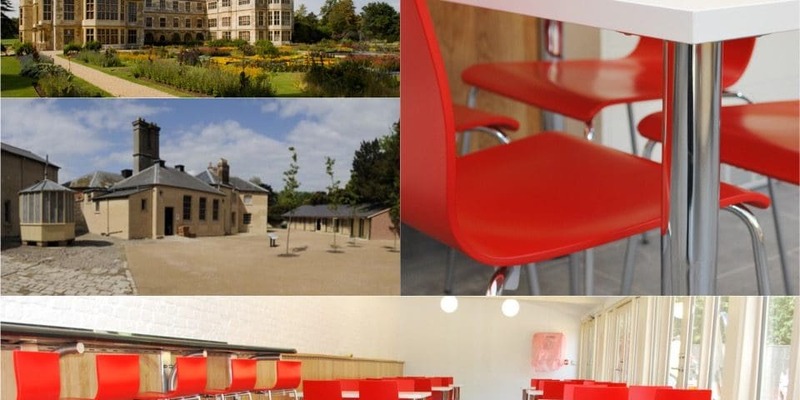 The Anno chair comes in a choice of two heights, with a bar stool option also available, as was used here at the Audley End House café and restaurant. 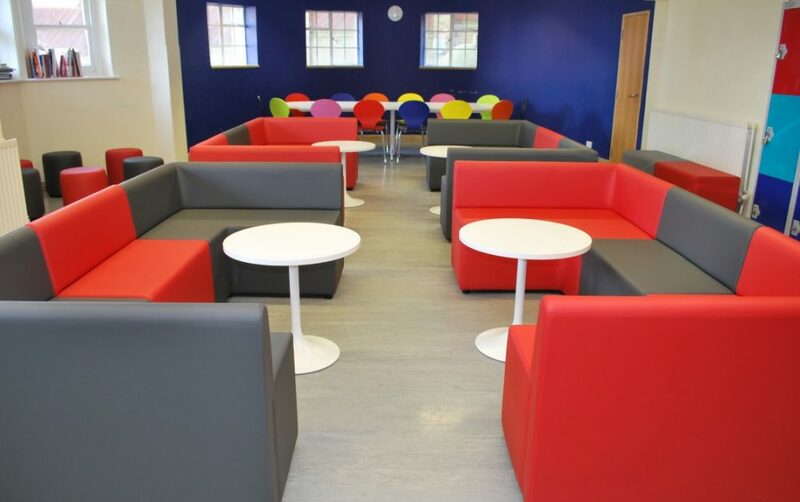 Working with the clients’ requirements and suitability, we were able to supply a start to finish service from proposal and pricing through to finished installation. 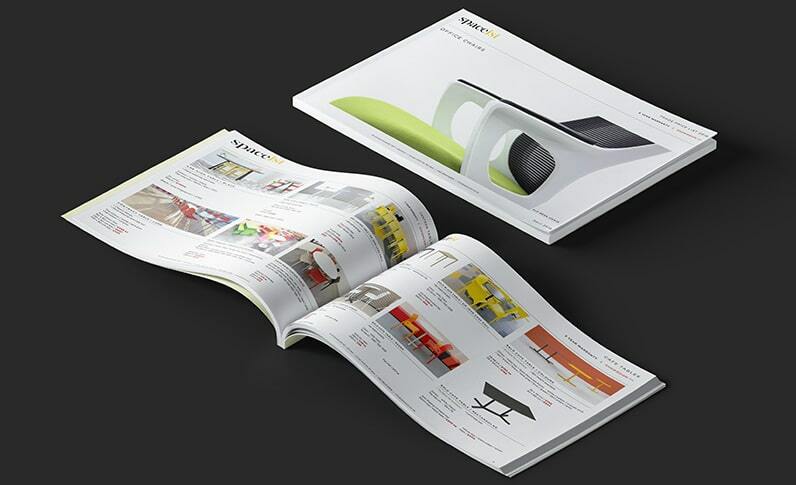 The result is a bright, attractive and functional cafe interior.